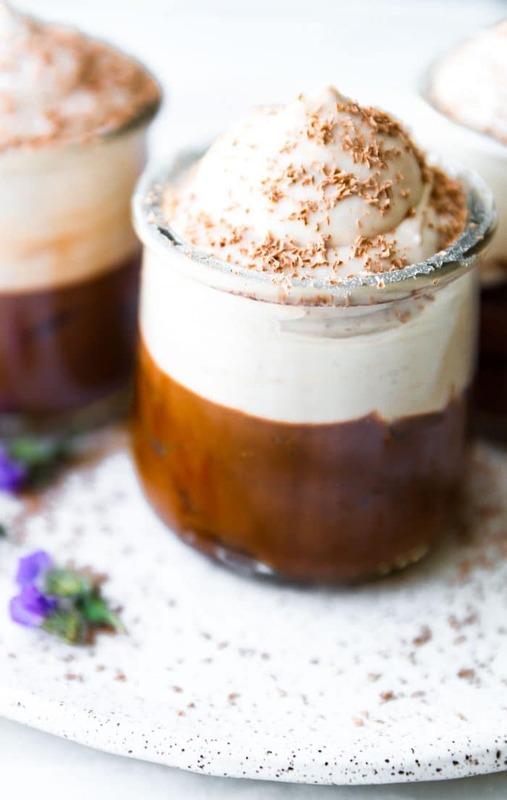 Silky Chocolate Avocado Mousse with a Mexican Chocolate twist and cinnamon whip topping! This Chocolate Mousse is easy to make with real avocados, unsweetened cocoa, dates, and coconut milk. 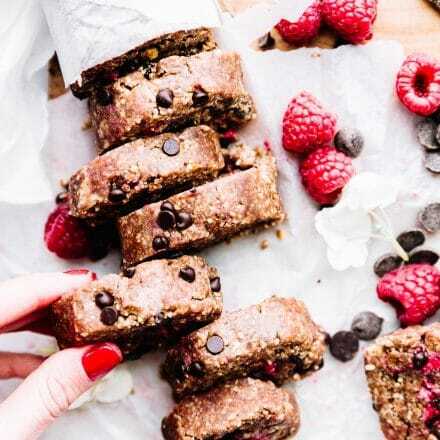 Dairy-free, gluten-free, refined sugar- free, vegan, paleo. A silky smooth chocolate dessert made in just 20 minutes! The MAGIC VEGAN chocolate avocado mousse! In all seriousness, this is one of those recipes that I have been dying to share! No matter the occasion. It’s just taken me a year to get my act together. ACK! Actually scratch that, almost 2 years. It all began when I made these vegan chocolate sugar cookies and felt like they needed a chocolate frosting, but it had to be vegan. So I experimented with a chocolate avocado frosting to go on top. The frosting was delicious that I ended up eating it by the spoonful. Which lead to my next thought. And that is how my brain works my friends! You’re welcome. Okay enough back story, let’s talk about this avocado dessert RECIPE happening NOW!! Gah, life changing! 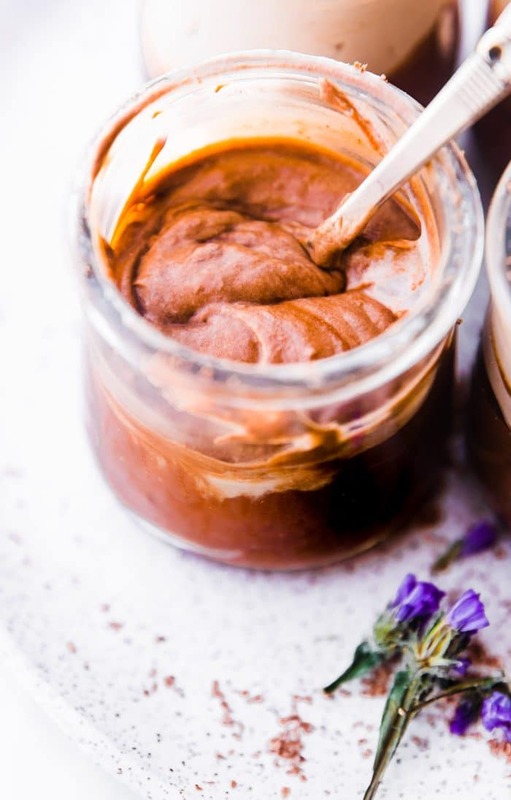 This vegan chocolate mousse recipe is so simple to make for any occasion. I love serving it at small gatherings or date nights. The cute little cups make for perfect individual desserts. And it literally takes 30 minutes to make. How to make a quick vegan chocolate avocado mousse recipe to impress your guests! My version of chocolate avocado mousse. 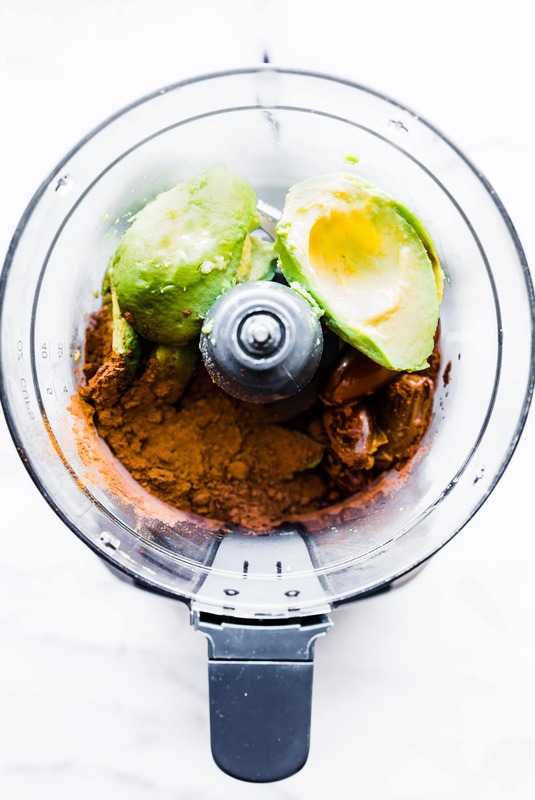 It’s vegan, with Mexican chocolate spices (think chili powder, cinnamon, cayenne, ginger, and cocoa powder), blended with avocado and coconut milk. Those spices give it that red dutch chocolate color. To make this mousse extra thick, without added sugars, I added dates. Yep, dates! You’ll have to go on a date with dates to make this recipe. Haha, i know, puns are my weakness. Tip– soak your dates before blending with the avocado and chocolate. This makes for an extra thick creamy mousse. After we have our mousse blended, we let it sit in the fridge while we make the topping. Coconut cream whip frosting with mexican vanilla and cinnamon. OMG another to die for dessert topping! 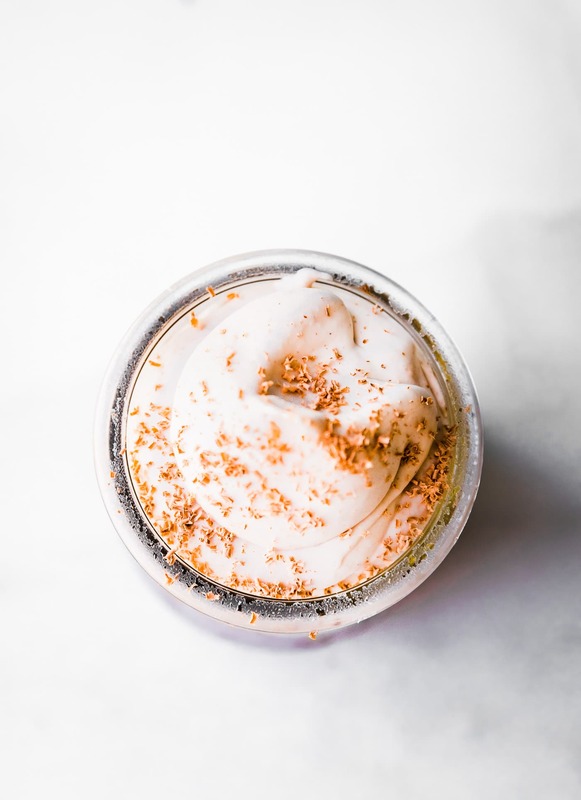 Coconut cream is so dreamy and a great non dairy (paleo, vegan) cream alternative. Get your pin and paper out. Write these ingredients down. Ingredients you need! All naturally refined sugar free too. THAT IS IT! And now you may proceed to…. WHIP it, WHIP IT GOOD. Before we go, I know some of you are asking. Is this chocolate mousse keto friendly? Not entirely. 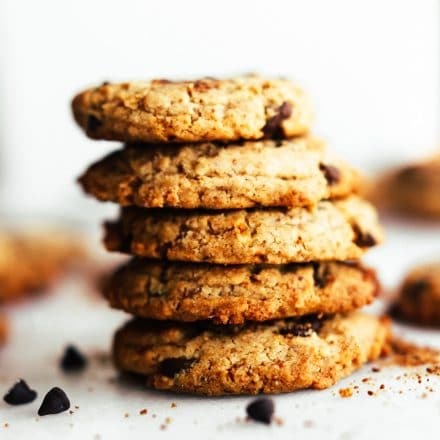 But I tell you what, if you are really looking to lower the carbohydrate intake, skip the dates and add an extra avocado and scoop of unsweetened cocoa. Cool? 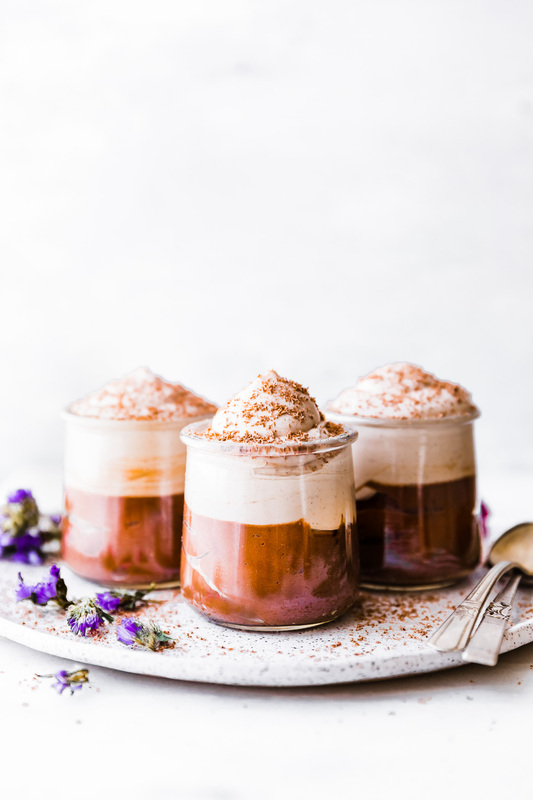 Silky Chocolate Avocado Mousse with a Mexican Chocolate twist and cinnamon whip topping! 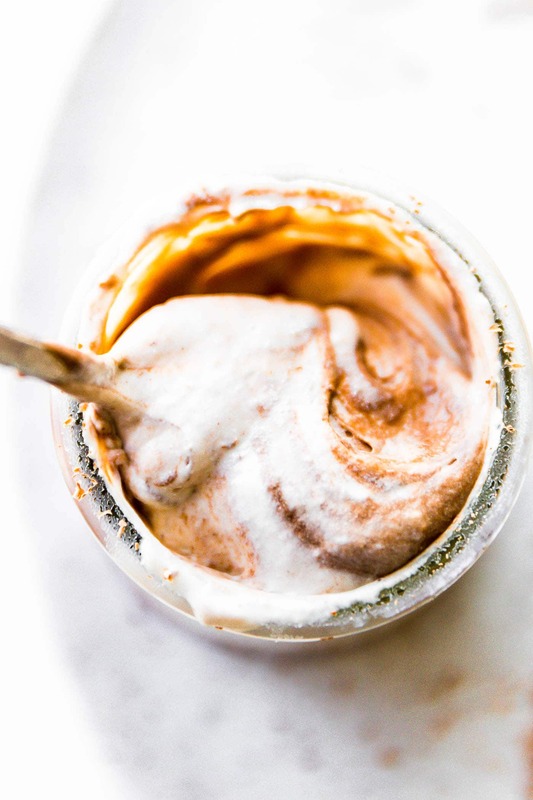 Before you begin– If you want to make the coconut cream whip, be sure to place the canned coconut cream in the fridge overnight to solidify. See notes for alternatives. Place dates in small bowl and cover with purified water for 30 to 60 minutes. This helps created a thick and silky texture. Discard water when done soaking. The dates help thicken the mousse. Short on time? Replace dates with maple syrup. 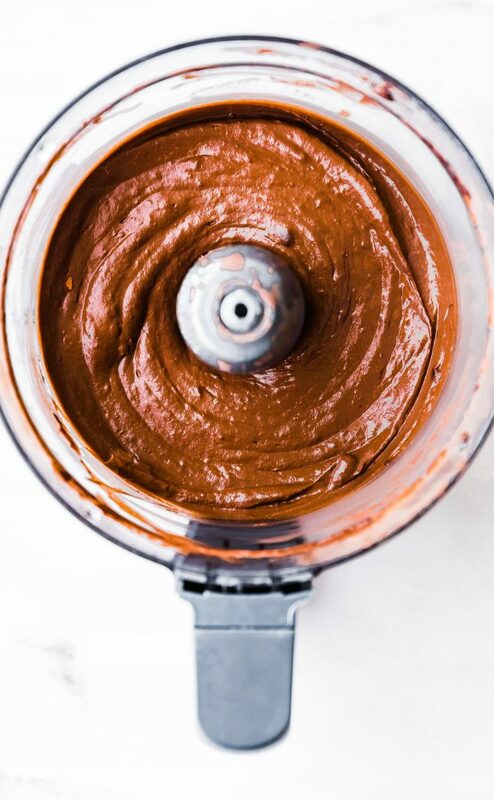 Next, in a food processor or a blender, blend together avocados (sliced in half), cocoa powder, almond milk, vanilla. Pulse until creamy. Then add in your spices and pinch of sea salt. Pour into small cups or ramekins and refrigerate for 25 minutes or longer. While the chocolate avocado mousse is setting, make the whipped cream. To make Coconut Whipped Cream: Start with a 15 ounce can of chilled coconut cream (chilled overnight so it can solidify). Drain the water from the can and place the solid cream in a large bowl or stand mixer. Add your cinnamon spice and whip until soft peaks form. Fold in sweetener of choice. Store coconut whipped cream in fridge (covered) until you’re ready to serve the mousse. Short on time? Use heavy whipping cream if you can tolerate dairy or vegan whipped cream (pre-made). 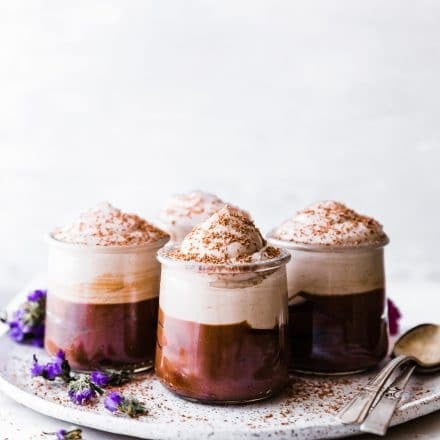 Once ready to serve, place a few spoonfuls of coconut whip on top of each chocolate avocado mousse cups. Sprinkle with dark chocolate shavings. Enjoy! Feel free to make the mousse ahead of time. Up to 2 days before serving. Keeps well in fridge for 3-4 days max. Nutrition below based on using dates and without topping. Coconut Cream substitute – Use heavy whipping cream if you can tolerate dairy or vegan whipped cream (pre-made). Date substitute – maple syrup. But note, the dates help thicken the mousse. 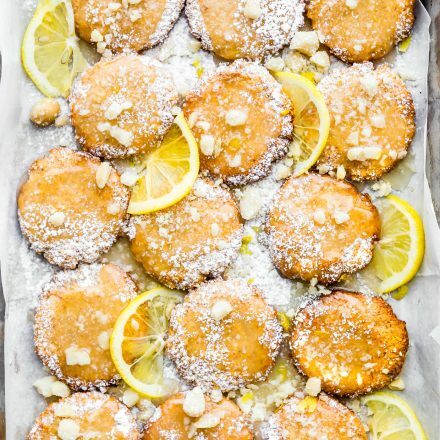 Now tell me, what’s your favorite EASY “fancy-ish” dessert??! AKA another reason avocados are my valentine this year! THIS is my new favorite “fancy-ish” dessert. Wowza. Decadence with nourishing elements – I’m sold. This looks & sounds amazing! Definitely gonna give it a try! So much yum!!! Mmm.. Favorite fancy dessert– your sweet potato pie!! Love that little kick of heat with the spices. Nice thick and creamy consistency with healthier ingredients making you feel like you’re having a guilty pleasure! I am not a romantic, but I would happily indulge in a cup or bowl or ball jar of this. Thank you my friend! Love the cotter crunch binge reading today. haha! 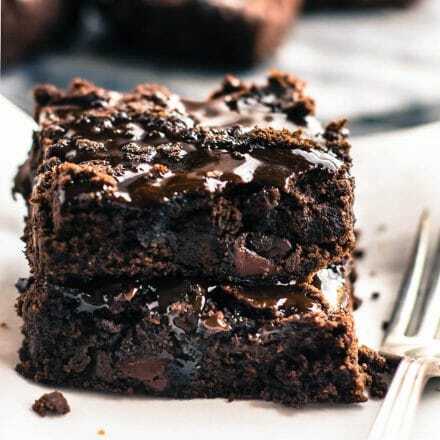 Look delicious.I love chocolate so much thank for sharing. I am planning to make this over the weekend. Can it be placed in one larger bowl rather than individual servings? Sure! That should work. Just might need to chill a little longer.